We provide thorough details-oriented carpet cleaning services while maintaining a high level of customer satisfaction. Our bonnet cleaning method leaves your carpet looking pristine, without leaving soggy water residue that requires excessive drying time. 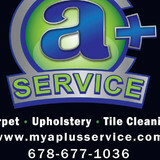 We`re also home of the best carpet care plan in...well, anywhere! When you spend $120 or more on your initial service you automatically qualify to receive those areas recleaned for only $10 for a whole year, as many times as you want! You just pay a $29 trip charge. Call now for your FREE estimate! Welcome to Oriental Designer Rugs! Since 1984, Our Rug Store providing high-quality Oriental rugs, area rugs, large rugs, wool rugs, traditional rugs, vintage rugs and handmade rugs with the latest patterns and colors at the lowest prices. And also expertise in rug cleaning and repairing services. I'm David Neal owner of Hydrapro. 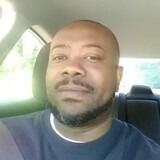 I am a certified, qualified business owner and have been in the business for 16 years. I do everything from truck mounted carpet cleaning, tile and grout cleaning, upholstery cleaning, carpet repairs, carpet stretching, water damage, and structural drying. Check out our services we provide and price list. We're proud of our achievements and will do our best to exceed your expectations. Visit our projects page to explore our portfolio and see a sampling of our completed work. Keivan Woven Arts is the preeminent source for fine Antique, Antique Reproduction, and Vintage rugs. Our selective and discerning buyers travel across the world in discovery of the finest antique woven masterpieces and loom sites capable of creating masterful antique reproductions and contemporary carpets. As a result, Keivan Woven Arts collections include over 4,300 of the most exceptional rugs in the world. Catering to the most discerning clientele in the design industry, our showroom offers a vast selection of beautiful Oriental, European and American rugs alongside the most outstanding assemblage of Turkish and Oushak carpets in the Southeast. Owner, Keivan Beroukhim, has spent the past 30 years refining his craft. With a profound knowledge of Antique carpets, he has become well-known and well-respected in the design industry, and is a noted lecturer on the subject of oriental rugs. Keivan Woven Arts also provides professional cleaning and repair services, expert appraisals, and educational lectures. What should I look for in a local North Druid Hills carpet cleaner? Not all North Druid Hills carpet cleaning companies use the same methods, but there are a few common things that they should do to for a quality job. Make sure they do an analysis on the area you need cleaned and recommend the best course of action — are there large stains or high-traffic areas that need extra treatment or attention? Also, make sure they provide quick drying times so that you can be back in your home faster; that means hours, not days! A good carpet cleaning service in North Druid Hills, GA should move furniture (within reason) and put it back in place when they are all done; don't let them charge extra to do this. Another important factor to look out for is whether or not the carpet cleaners use chemicals, and if so, they should be asthma- and allergy-friendly. This is especially important for households that have children or pets. Lots of North Druid Hills carpet cleaning services also clean rugs. Rug cleaning can involve anything from a simple wash to complete re-weaving or foundation work. Make sure the local rug cleaner you choose has experience with the types of rugs you need serviced, especially if they are hand-woven or Oriental rugs. 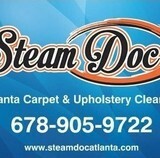 What should I look for in a local North Druid Hills upholstery cleaner? Upholstery comes in many more varieties than carpet and rugs, thus needs cleaning tailored to each specific blend. Even if you don’t know what material your sofa or chair is made with, a good upholstery cleaning service in North Druid Hills, GA will be able to identify it and treat it appropriately. Some textiles require dry cleaning and that can’t be done in home, so if that’s the case, check with the upholstery cleaner and see if they offer pickup and drop off services. Leather cleaning is a bit different and often involves more restoration and conditioning than actual cleaning. Make sure the North Druid Hills furniture cleaning service specializes in leather if you are considering them for the job. Find North Druid Hills upholstery and carpet cleaning services on Houzz. Narrow your search in the Professionals section of the website to local carpet cleaners in North Druid Hills, GA and read reviews and ratings to find one that fits your needs.